Dawn McCurdy — McCurdy Real Estate Group, Inc. Dawn became a broker and created McCurdy Real Estate Group, Inc. because she is passionate about giving back and helping others. She wanted to coach and inspire other Realtors to become successful in the business, as well as make a difference in their clients’ lives. Dawn’s ultimate goal is to help as many people as she can during her lifetime, and founding her own brokerage has greatly contributed to her achieving that goal. Having been in the business for 33 years, Dawn understands that having the right real estate agent means having an agent who is committed to helping you buy or sell your home with the highest level of expertise in your local market. Additionally, you also want to work with someone who understands each step of the buying or selling process, and who has a high level of commitment to you and your family, along with a solid track record of delivering results. Dawn embodies all of these traits and skill sets, and is a champion for all of her clients, no matter the situation. Whether you are an experienced investor or a first time buyer, Dawn can help you in finding the property of your dreams. For Dawn, nothing is more exciting than the gratifying feeling she receives from helping people meet their real estate needs. You can count on her to always do what's in your best interest. 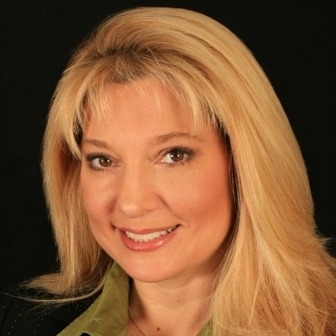 Dawn prides herself on being honest, trustworthy, and knowledgeable in the real estate market. She understands how important it is to find your dream home or get the best offer for your property, and makes it her responsibility to help you achieve those goals. Dawn has personal ties to the Capital Region, as she was born and raised in Albany. She attended Bishop Maginn and Albany High School, and is a graduate of Schenectady Community College. Dawn currently resides in Colonie with her husband Phil and teenage daughters, Amber and Taylor. She is very active within the community through her involvement with the Colonie Chamber of Commerce as a member of the Board of Directors and a Leads/Networking Group Leader. She also received the Volunteer of the Year Award from the Colonie Chamber of Commerce in 2013. Beyond her personal engagement in the community, McCurdy Real Estate also promotes volunteerism and community service through clean, green recycling and shredding community events, an annual pie appreciation event for clients, buyer seminars at various banks, among others.